The following remark by Rajnath Singh came in respect of the criticism and allegations that were levelled by the Opposition against the Modi government. The BJP-led government has been facing criticism over the sudden rise in lynching cases in India. 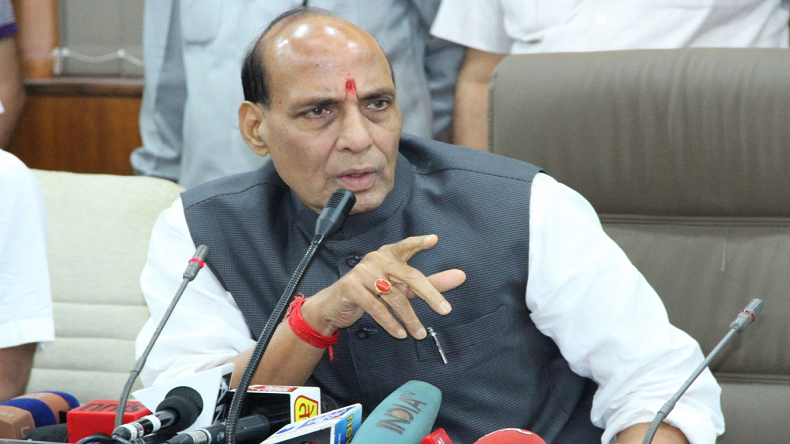 The Centre will pass a law on mob lynching, if needed, said Union Home Minister Rajnath Singh while he was speaking at the Lok Sabha on Tuesday. The following remark by Rajnath Singh came in respect of the criticism and allegations that were levelled by the Opposition against the Modi government. The BJP-led government has been facing criticism over the sudden rise in lynching cases in India. The statement by Rajnath Singh was made just a few hours after a 28-year-old Muslim man was lynched by the mob on suspicion of being a cow smuggler. Speaking at the Lok Sabha over lynching incidents, Rajnath Singh said that several measures have been taken by the government to curb such incidents. During Zero Hour in Lok Sabha on Tuesday, several Opposition parties including TMC and Congress had raised the issue of lynching and demanded strict measures from Centre to curb it. Reacting to the allegations, Rajnath Singh said that a high-level committee has been formed to deal with lynching incidents happening across the country. Rajnath added that the committee will be headed by Union Home Secretary Rajiv Gauba and the Group of Ministers (GoM) headed by him. The committee will be given a time period of four weeks after which they will submit the report to GoM. The following committees were set up just a week after the Supreme Court had asked the Centre to pass a law on mob lynching incidents. Just a few hours after Rajnath Singh had made his statements, a BJP minister from Rajasthan under the Muslims of the country to end the practice of cow smuggling as it was hurting the sentiments of Hindus.